These locations may not have the ring of April in Paris, but they surely will be part of an exciting first quarter for the robotics industry. RIA, AIA, and MCA now have some 575 combined member companies. We see the synergies between these technologies every day as robots, vision, and motion control combine with other key products to form complete automation solutions. Solutions. That’s going to be a big emphasis for RIA in 2011 as we tell potential users around the world that our members provide the solutions they need to be stronger competitors. We’re putting our money where our mouth is by offering system integrators free space right at the front of the Automate 2011 show in Chicago, March 21-24. The Integrated Solutions Center already has more than 15 leading integrators signed up to showcase a wide variety of solutions for applications in a wide-range of industries. With ProMat collocated with us, we think we’re going to have our best attended show in well over a decade and are looking forward to Automate 2011 helping expand sales for our members. For full details on Automate, be sure to visit www.automate2011.com. Of course, before we get to these events, we need to make it through the holiday season. Some of you know that last year I went through a lifestyle change that involved eating healthier and exercising more. I’m happy to say that I lost nearly 20 pounds to get to my target weight and kept it off for over a year. This year’s Thanksgiving break erased some of those gains and I don’t even want to think about what could happen during the Christmas and New Year’s season if I don’t get serious right now. So, it’s back to basics, carefully watching what I eat and walking, walking, walking. I know this works and have complete confidence that I will be back to the target weight by the time of the Forum, if not much sooner. Which brings me back to solutions: for all of the companies out there who have put on excess baggage, lost their competitive edge, forgotten the “basics” of success, Automate 2011 can help you find solutions to your challenges. Whether you just walk the show or attend conference sessions, I know you’ll find Automate 2011 valuable and hope to see you there! And, whether you’re a user, supplier, integrator or researcher, I hope you’ll jump-start the year by joining us at the Forum in Orlando. It will be a fantastic first quarter and I hope you’ll be a part of it! Keynote talks are open to all registered Automate 2011 and ProMat attendees and exhibitors free of charge. You’ll need your show badge to gain entrance. We anticipate a large audience so please allow yourself enough time to get in and get seated. The Honorable Tom Ridge is the president and CEO of Ridge Global LLC. As the company’s chief executive, he leads a team of international experts that helps businesses and governments address a range of needs throughout their organizations, including risk management and global trade security, strategic business generation, technology integration, event security, crisis management, campus security and other issues that encompass a diverse portfolio. Before the events of September 11th, Tom Ridge was twice elected Governor of Pennsylvania. He served as the state’s 43rd governor from 1995 to 2001. Known for his commitment to high standards and results, Governor Ridge delivered on his promise to make Pennsylvania “a leader among states and a competitor among nations.” Governor Ridge’s aggressive technology strategy helped fuel the state’s advances in economic development, education, health care and the environment. Born August 26, 1945, in Pittsburgh’s Steel Valley, Ridge was raised in a working-class family in veterans’ public housing in Erie. He earned a scholarship to Harvard, graduating with honors in 1967. After his first year at The Dickinson School of Law, he was drafted into the U.S. Army, where he served as an infantry staff sergeant in Vietnam, earning the Bronze Star for Valor, the Combat Infantry Badge and the Vietnamese Cross of Gallantry. After returning to Pennsylvania and to Dickinson, he earned his law degree and was in private practice before becoming assistant district attorney in Erie County. An engaging and dynamic speaker, Secretary Ridge regularly addresses audiences throughout the world on issues, such as security, terrorism, global engagement, leadership, technology and more. Additionally, the first U.S. secretary of Homeland Security serves on the boards of the Institute for Defense Analyses, the Center for the Study of the Presidency and Congress and other private and public entities, and since 2005, has served as chairman of the National Organization on Disability. Secretary Ridge continues to contribute to matters concerning our nation’s veterans and, along with Gen. Tommy Franks (Ret. 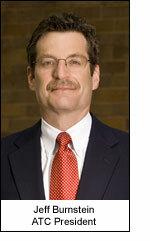 ), serves as national co-chairman of the Flight 93 Memorial Fundraising Campaign. 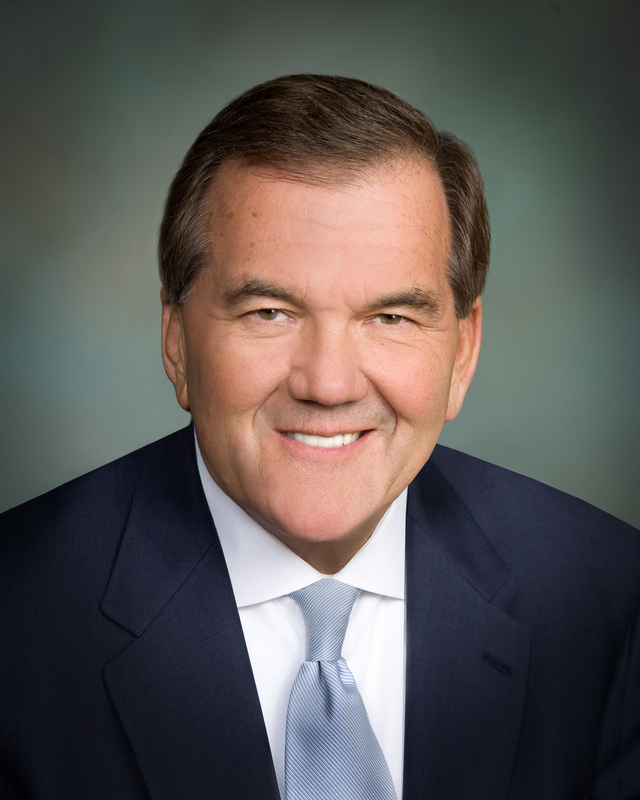 Throughout his public and private sector career, Tom Ridge has received numerous honors, including the Woodrow Wilson Award, the Veterans of Foreign Wars’ Dwight D. Eisenhower Award, the John F. Kennedy National Award, the Ellis Island Medal of Honor, the American Bar Association’s John Marshall Award, the National Guard’s Harry S. Truman Award, the Pennsylvania Wildlife Federation’s Conservationist of the Year Award, U.S.-Mexico Chamber of Commerce’s Good Neighbor Award, the American Cancer Society’s prestigious National Medal of Honor, the Mister Rogers Award, the Champion of Public Television Award, the Intrepid Freedom Award and the Esperanza Leadership Award. Secretary Ridge has also been awarded honorary degrees and awards from many national and international academic institutions. Looking for a cool job in Massachusetts? In today’s economy, robots are exactly what the doctor ordered to improve the health of the economy and keep jobs at home. Fear of displacement from robotics and automation is misplaced in today’s global marketplace. What should really give workers pause is when their companies won’t use robots and other automated technologies to become stronger global competitors. Take for example Marlin Steel Wire, a small business on the U.S. East Coast. They epitomize any company with a global imprint. They export. They win business in Singapore and China. They compete against big companies in low-wage countries and win. They do it with robots but they put people irst. Now look at a big company like Harley-Davidson. They use robots to cut costs and improve quality. Workers are their best assets, and robots and automation free their people to add more value with ideas and innovation (same as Marlin). Any country and any industry can apply the same approach: put people first and compete on the basis of innovation. Let automation do the dull or risky jobs. To see more details, including wage comparisons and cost justification considerations see the whole story on the Automate 2011 website at www.automate2011.com/Marlin. QR Codes – Why Use Them? QR Codes – why use them? They are free, easy and make smart phones more useful and fun. ScanLife Barcode Reader works on most smart phones. Since you can generate QR codes free using online applications, there are few barriers to entry when it comes to this new communication tool. It can not only help you tell more of your story, but also engage people by appealing to their fascination with smart phone apps. This QR code takes you straight to the registration page for Automate 2011, a show sponsored by Robotic Industries Association. Held March 21-24 in Chicago, it is a great way to see leading edge automation for today’s business needs. QR Codes – Who Uses Them? QR Codes – who uses them? The craze started in Japan and is spreading with the popularity of smart phones. Look for them on ads & biz cards. One might use these codes to run a contest or to provide clues in a scavenger hunt. Libraries or museums can use them to make more information available for patrons who happen upon something of special interest. You can use them in your business to encourage more interaction with prospects and customers, or to appeal to the early adopters of high-tech fashion. Free QR code generators are available in abundance on the Internet. Check your apps store for bar code readers that work with QR codes. QR (quick response) codes are 2-D codes your smart phone can read which then triggers an action (like opening a URL). They require an app on your phone such as the ScanLife Barcode Reader. There has been talk of QR codes used by restaurants so you can scan a wrapper and learn about things like nutrition content. Musicians report seeing QR codes in magazine ads that in some cases trigger a video of a noted artist playing a specific brand of guitar. QR codes first gained popularity in Japan where smart phones are especially common. Not only to they appeal to “techies” and early adopters, but they are often a tool of fast-moving marketers who use them everywhere from billboards to business cards. Have you seen any? You are currently browsing the Robots in America blog archives for November, 2010.